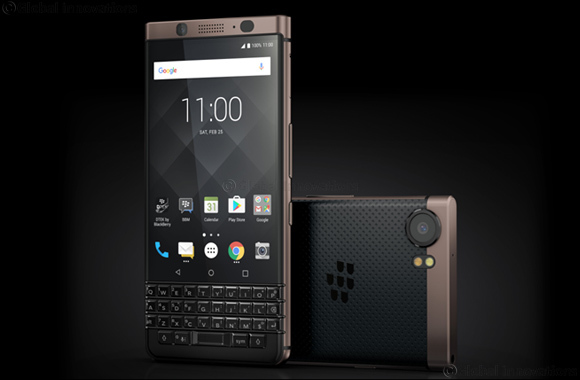 Dubai, UAE, March 18, 2018: TCL Communication is proud to announce an all-new BlackBerry KEYone - Bronze Edition - is coming to the Middle East following the global success of BlackBerry KEYone and BlackBerry KEYone Black Edition. This new BlackBerry KEYone variant offers Dual-SIM compatibility in addition to a fresh color variation and is available from today for an SRP of 2199 AED in the UAE and 2I99 SAR in Saudi Arabia. The product is distributed by Axiom Telecom in the Middle East, and will be available first in Sharaf DG stores, and online at Souq.com. The product will also be available from Etisalat and Du. This limited-edition model is ideal for corporate users or frequent travelers, as the BlackBerry KEYone Bronze Edition also has 4GB of memory and 64GB of internal storage. Additionally, it comes packed with all the security, productivity and reliability features that have made BlackBerry KEYone such a distinctly different and popular smartphone. The release of BlackBerry KEYone Bronze Edition is a further example of how TCL Communication’s BlackBerry Mobile brand is responding to BlackBerry smartphone fans around the world, who continue to ask for additional styling and performance options within the BlackBerry KEYone lineup.